I’ve recently been trying to plan for internship and figuring out ways in which I can integrate technology. I love the idea of using iPads – even if the school does not supply iPads for students. This website provides plenty of ideas for using iPads in middle years classrooms. More specifically, I have been wondering what kind of apps and features on an iPad would be beneficial as a teacher. I came across a couple websites that lists plenty of apps teachers can use to benefit the classroom overall – eLearningIndustry and TCEA. This app allows you to wirelessly project sketches from your iPad to another screen for presenting and engaging an audience. It allows you to move more freely around a room while also having the attention focused on a presentation screen. Would be great for engaging students and sharing ideas – teachers could ask students to draw or write their responses on the iPad, allowing the rest of the class to see the response as well. Although ClassDojo can be controversial, positive behaviour management is important in the classroom. ClassDojo allows teachers to encourage students, maintain effective classroom management, connect with parents/guardians, and help save time. 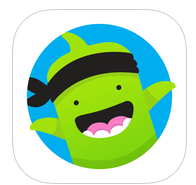 More information can be found at ClassDojo’s website. 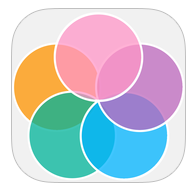 Although it might seem simple, this app could be very beneficial when a teacher wants to vary the composition of groups in classroom work. It can be time-consuming and complicated creating groups – some students are absent, some students do not work well together, some students are always in the same groups and do not interact with other classmates, etc. There are so many resources for using technology in the classroom! I really like the website for iPad apps to use in the classroom. Like you said, not every classroom or school will have access to iPads, but it is still useful to look into the positive uses for them. Cool post! These are 3 great apps Marissa. I am interested to try GroupMaker because I always struggle to make groups. One other cool app is DecideNow. You can use it or you can have your students use it as well. Great post! One of the great things about planning for possibilities is that you’re also well-prepared to advocate if the opportunity arises. Admin are given the difficult job of deciding where money is best-spent, and sharing posts like this (that specifically say how and why you’d be using the tool) is a far more effective argument than “I think they’re cool!” I hope that you’ll have the chance to play around with some of these in your internship! Have you run into many classrooms that have iPads for a classroom? That would be super cool! I have not yet run into a class that has had that.